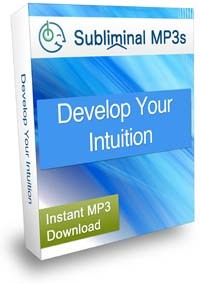 Develop your intuition to a higher level with this mind expanding subliminal mp3 album. In business a strong intuition can lead you to success when others think you are wrong. It can help you to spot the best deal or make the right decision, perhaps even make more money. In your relationships it can help you to realize if your partner is right for you, to see where the relationship is going and if they are lying to you or even cheating on you. With your family life a strong intuition can help you look out for them, to know what is best for your family, and again to help you make the best decisions. In your social life your intuition can help you see who will be your strongest friends, help you to be a better judge of character, and again to spot any lies or deceptions. It will help you to sense people's moods, and feel their emotions. 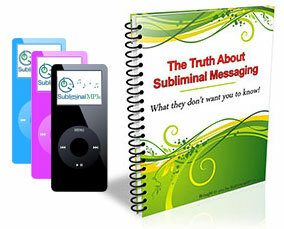 - information which you can use to your advantage in many social, or even business situations! You will start to judge people correctly and be able to read people much more accurately. You will also get a good sense of when people are telling the truth or when they are lying. Above all you will start to trust your gut instincts and your intuition, and once you start to trust yourself your intuition will really start to improve. If properly developed your intuition can be a powerful ally. It is a skill which will help you make decisions, and "figure people out" in all areas of your life, perhaps even give you feelings and insights into possible future events.